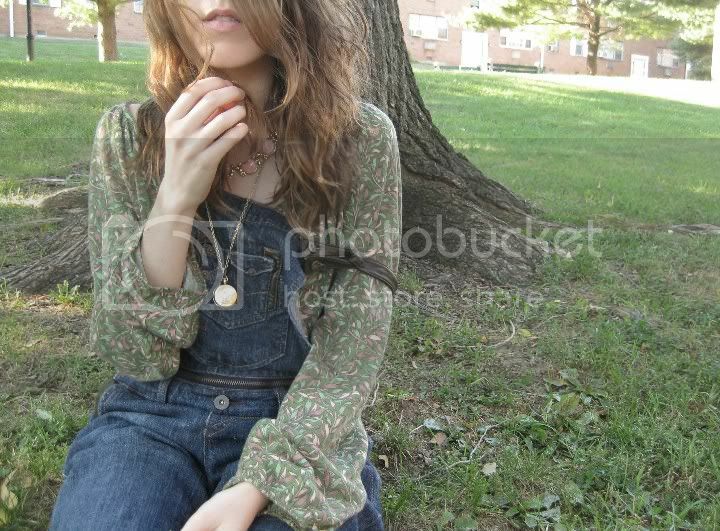 Top by Diane von Furstenberg; Overalls by Dollhouse; Vintage jewelry. Those are some neat overalls, and I love the top. Love the way you combined everything. 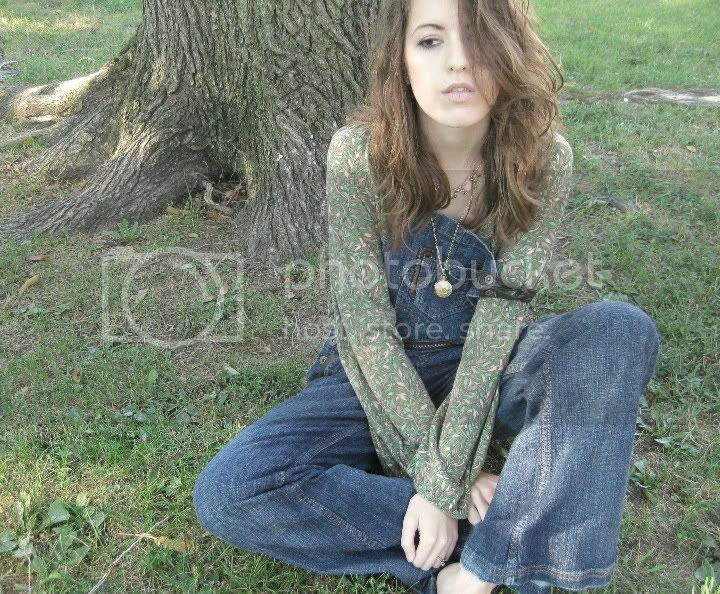 Those overalls are a blast from the past.. in a good way of course. Lookin' spectacular as always babe. I wish I could have carefree hare like yours. Happy Sunday! Love the blouse! And your hair is perfect! You are soo pretty and I love your top! love the second picture and the peach stone necklace!! This is so on-trend! I just picked up a fashion magazine the other day (can't remember which one) that said the 70s nature girl is the look of the season. Awesome finds! Love the way you styled this!! I don't think I could pull off overalls but you really do! 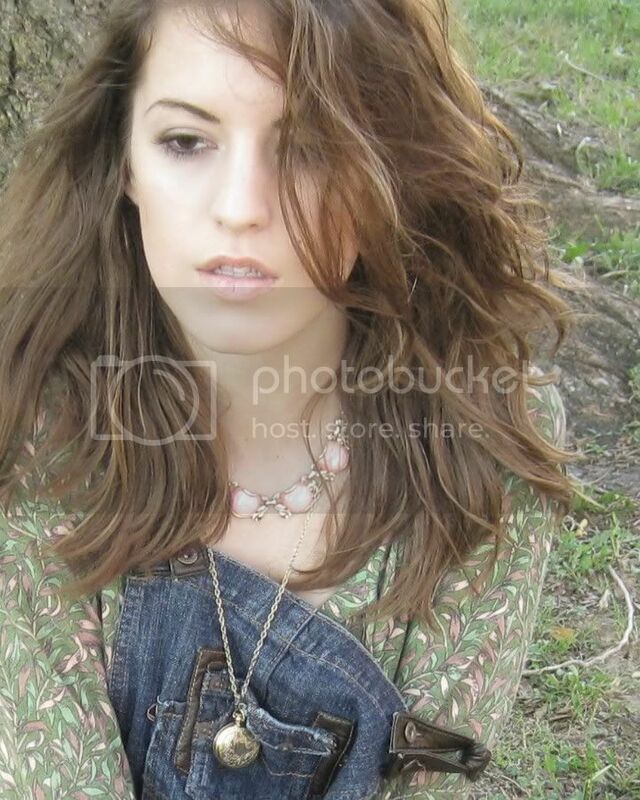 Beautiful pictures..Love the pairing of that denim and the floral top. such bohemian loveliness. You are truly beautiful! I LOVE your style. I wish I could pull off something like that! Oh my gosh... I was just saying to myself today that i wanted some comfy overalls. Beautiful photography and adorable style! Very sweet. gorgeous! i wish i could pull of overalls haha.. love to follow!